Learning on a Boat | Als Ik Kan Designs – Woodworking, Crafts, and More! If you know me, I have always had a hard time sitting still…I love creating and building. Heck, I even have a t-shirt that says “You People Must Be Exhausted From Watching Me Do Everything.” Because of this restless passion to learn and make, I was a bit concerned about the prospect of spending 7 days on a cruise ship. Since I had never been on a cruise, I feared I would be bored, forced to sit for long periods of time counting waves, feigning interest in shuffleboard, or counting down the minutes until the next meal would be served. I even joked that maybe the ship would have some major mechanical issue and they would ask for volunteers to help fix the problem. Having now been on a Disney Cruise, I can share that I was pleasantly surprised by all of the activities they have available on the ship. I can’t speak for other cruise lines, but Disney does a great job of planning a diverse set of activities for all ages. Most importantly, many of these activities included crafts and opportunities to learn. I was not bored once. For example, my wife and I participated in several animation classes, learning to draw famous Disney characters. 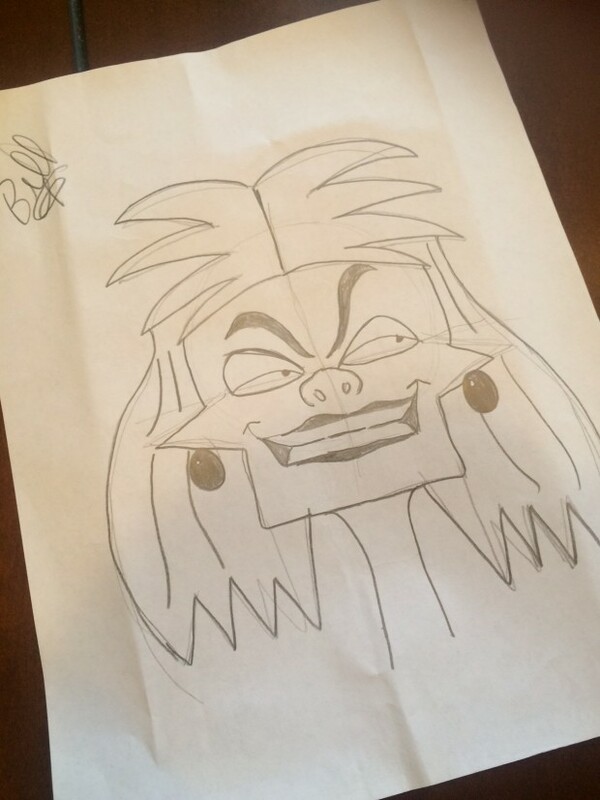 In one of the classes, we even got to draw Disney villains! We also participated in cooking demonstrations and learned some new strategies we can implement at home. We attended a few crafting classes and made paper parrots for Pirate Night. 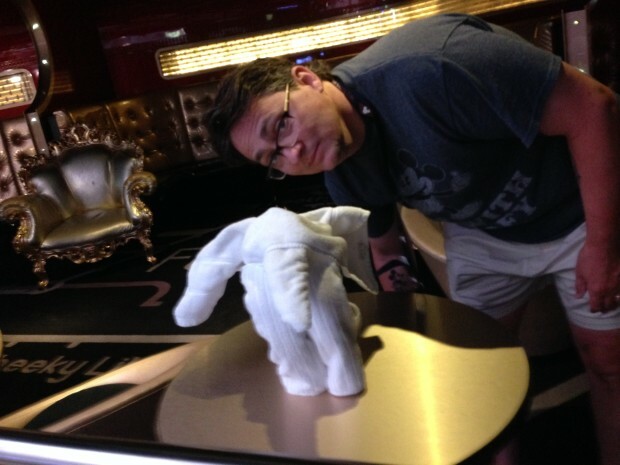 My absolute favorite activity on the ship was learning to make animals from folded towels. 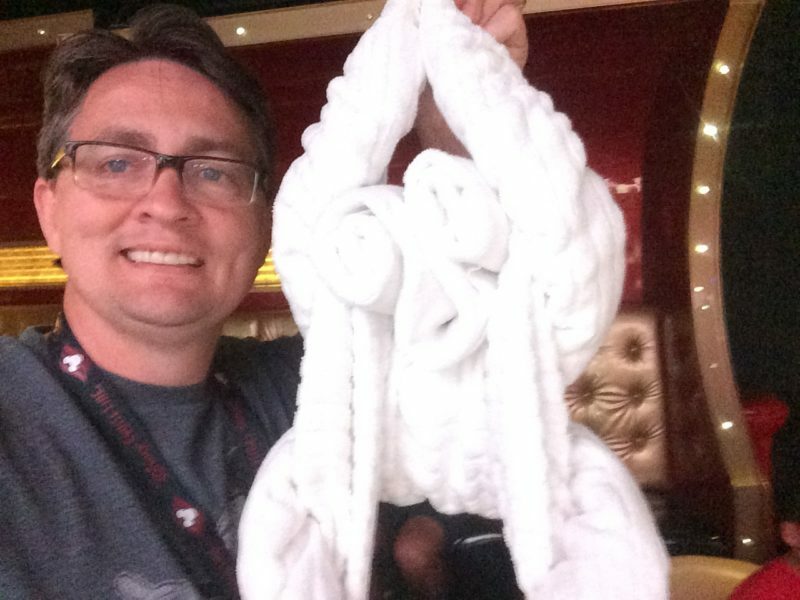 Each day on the ship, the room hosts create really cute towel animals and leave them in your room. In the class we attended, room hosts taught us how to create those awesome works of art and sent us home with instructions so we would remember how to make them. Check out the image below to view our handiwork. 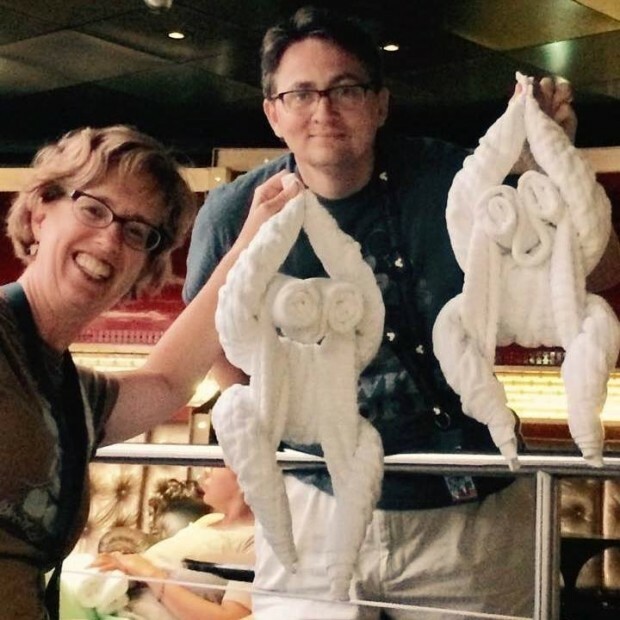 So lesson learned…there’s plenty to do on a Disney Cruise for those who love to create! And guess what, I now love cruises, or at least Disney Cruises and we’re thinking about going on another one real soon. Hot dog!